Add-on Developers: Nominate your add-on for a custom icon makeover from our graphic designer! The icon is an important part of any add-on, as it appears everywhere the add-on does both on addons.mozilla.org and in Firefox. 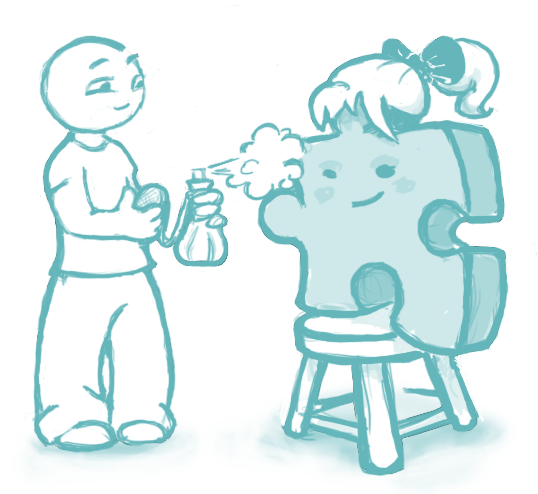 Yet only half of the add-ons hosted on AMO actually provide a custom icon; the others just use the default green puzzle piece. With Firefox 4, icons will become even more important as we allow for large 128×128 64×64 pixel icons to really show off an add-on’s personality. To help get add-ons ready for this new focus on icons, we’re announcing an icon makeover contest! Developers can nominate their add-ons to receive an icon makeover, and the community will vote for the 5 add-ons to receive new icons custom designed by our graphic artist. Only the developer of a Firefox 3.6-compatible add-on hosted on addons.mozilla.org can nominate their add-on for a new icon by submitting this form. Add-ons are eligible to enter regardless of whether they currently have an icon. Nominations will be accepted until July 23, 2010 at 11:59:59pm Pacific. The contest will open for community voting on July 26, 2010 through an announcement on this blog and last until August 6, 2010 at 11:59:59pm Pacific. Winners will be announced the next week and will be contacted by our designer, who will work with you to create a custom icon for your add-on to be used on addons.mozilla.org and elsewhere. Update: Firefox 4 will allow for icons up to 64×64 pixels, not 128×128 as originally reported. We look forward to your nominations. Stay tuned to this blog for details on how to vote for your favorite add-ons! Please make sure to request that each icon won’t be just 128⨉128 but something we can stretch to higher resolutions as needed, probably in a vector format such as SVG. Also, please remember that Fennec doesn’t (AFAIK) use this icon size, so there most be a lower resolution version for each icon. I am going to submit my add-on now! Thanks!